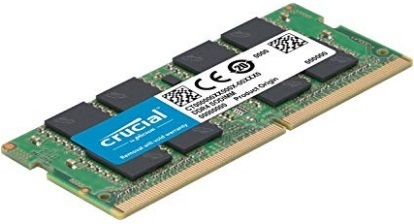 Virtually all memory modules use some type of dynamic RAM (DRAM) chips. DRAM requires frequent recharges of memory (also referred to as refresh) to retain its contents. Static random-access memory (SRAM) is RAM that does not need to be periodically refreshed. Memory refreshing is common to other types of RAM and is basically the act of reading information from a specific area of memory and immediately rewriting that information back to the same area without modifying it. Due to SRAM's architecture, it does not require this refresh. You will find SRAM being used as cache memory for CPUs, as buffers within hard drives, and as temporary storage for LCD screens. Normally, SRAM is soldered directly to a printed circuit board (PCB) or integrated directly to a chip. This means that you probably won't be replacing SRAM. SRAM is faster than — and is usually found in smaller quantities than—its distant cousin DRAM. While DDR SDRAM is sometimes rated in MHz, it is more often rated by throughput (MBps). Common speeds for DDR SDRAM include PC1600 (200MHz/1600Mbps), PC2100 (266MHz/2100Mbps), PC2700 (333MHz/2700Mbps), and PC3200 (400MHz/3200Mbps), but other speeds are available from some vendors. DDR2 SDRAM memory might be referred to by the effective memory speed of the memory chips on the module (the memory clock speed x4 or the I/O bus clock speed x2) — for example, DDR2-533 (133MHz memory clock x4 or 266MHz I/O bus clock x2) = 533MHz) — or by module throughput (DDR2-533 is used in PC2-4200 modules, which have a throughput of more than 4200Mbps). PC2- indicates the module uses DDR2 memory; PC- indicates the module uses DDR memory.